Friends welcome to the CondeExercise and today we will show you a important cool trick that may help you a lot. 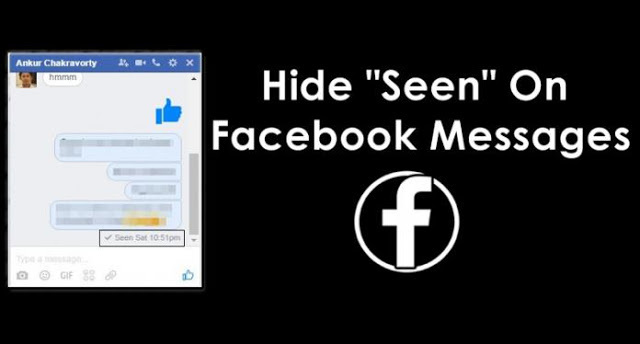 In this trick you will learn how to hide seen geature on facebook chat/messages. So, keep reading the post to know how to do that. Facebook is the giant network having billions of users and now facebook is widely used in the world of text messaging as we can also share media, lots of stickers and our location that is so valuable that are available for the Facebook messages. As we all know, facebook comes with a feature Seen on conservations that automatically appears whenever the other person reads the message. Are you want to have privacy while chatting with your Facebook friends? Then you are at the right place. When Facebook release updates on their messenger, you will know if your friends open or see your message because of seen features will appear below the message. As we know when two people chat in facebook messages “Seen by” features automatically resemble whenever one of the partners views the message. Same as you, if you see their message, it will also mark as seen in their end. Of course! It was an impressive feature as it was added by facebook for better chat experience. Now, if you did not reply to the message, your friends think like you, it’s like you ignore their message which is not ok. At that moment due to privacy, we want to disable Seen by feature. To turn off or disable Seen features in Facebook chat, there are some useful browser add-ons/extension that you can add to your browser to disable this feature. So, You need to follow the instruction to do that. To disable Facebook seen feature in Google Chrome browser, you need to add Facebook chat privacy extension in your browser. To add Facebook Chat Privacy you can download the extension from there by simply click here. Click add button in the popup to confirm adding the extension. Now you are done. You have complete your work. When you use Facebook chat in your Chrome browser, your friends will not see if you already read their messages. This is the most easiest way to Hide Seen Feature On Facebook Messages/Chats . Hope you like it. You can disable seen feature of facebook through this easiest way. © 2016 CodeExercise. All Rights Reserved.